Our website offers secure shopping features. 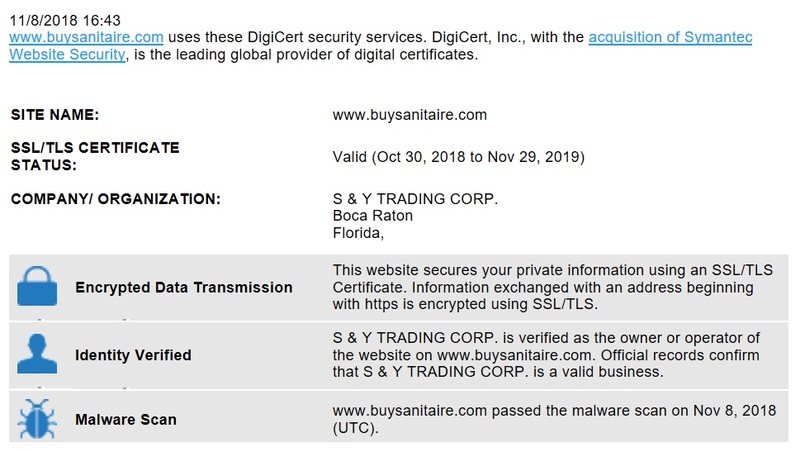 We have implemented a variety of safety measures from the leading software in the industry so you can rest assure that all your information is protected and you can buy with confidence. 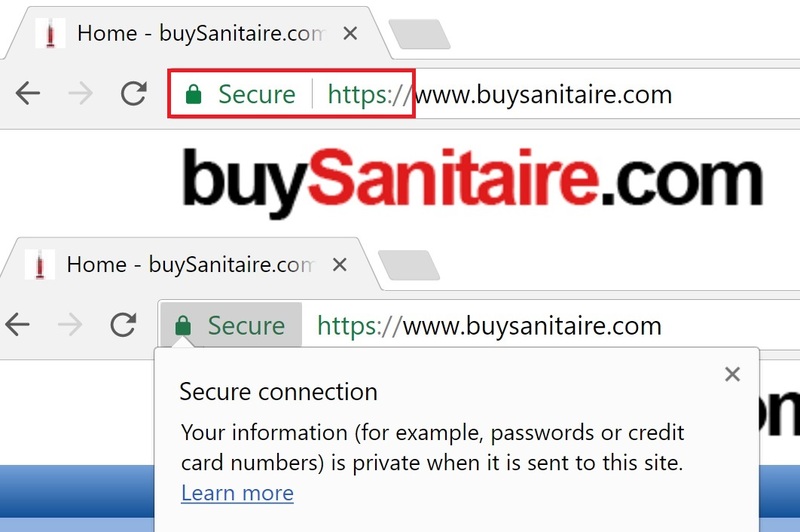 The secure lock icon located on the address bar on your browser is not just a picture! Click (or double-click) on it to see details of the site's security. HyperText Transfer Protocol Secure (https) means you can rest assure that all of your information is encrypted and safe when used on our website. Our site is also secured by Norton Security powered by Symantec. This SSL certificate gives us our “secured” status and protects your private information. 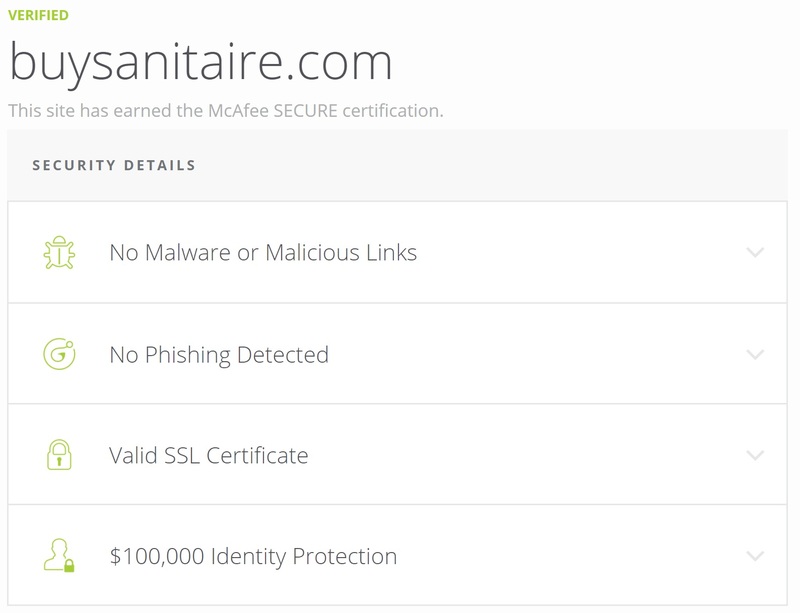 We also utilize security software McAfee to scan our website daily to keep our site safe from malware or malicious links. You can be certain that every link you click is secure.